15 Types of Car Radio Singers…Which One Are You? Listening to music while driving is so most of us… but there are 15 different categories according to YouTube musician and comedian Chad Neidt. The most popular types are the Premature Chorus Singer — the one who only knows the chorus –, the Faker — pretending to know the lyrics which is clearly they don’t–, the Harmonizer — only good at humming –, and of course, the Interpretive Dancer — you already know why –. So which one are you? I’m sure you are guilty at least one of them. 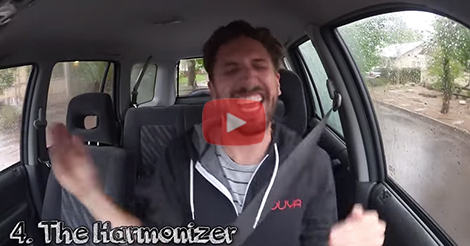 I’m definitely the Harmonizer! How about you? Share it in the COMMENT section below.